Autumn is prime time for mouse encounters. It’s getting cold outside, so in they come where it’s not only much warmer, but there’s also a plentiful supply of food and shelter. 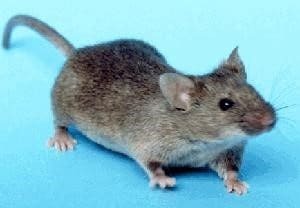 Essex and Suffolk Pest Solutions specialise in mice control in Witham, Harwich, Felixstowe, Ipswich, and towns and villages across both counties. Here we look at some of the places Mus Musculus, to give it its proper name, likes to hide out – and what you, and we, can to do get rid of them. Lofts, attics and eaves are common places the house mouse likes to hide in. They use any insulating material like paper and cardboard, plus any fabrics you have stored away, to line their nests. They are equally happy with life at low level, too, as they can get through air bricks and vents to basements and cellars. As the house mouse has such a small body (usually just 2-4 inches long) it can hide in quite narrow gaps, so check out the back of kitchen appliances such as cookers, freezers and dishwashers. Mice are attracted to all parts of the house which don’t see much human traffic, which includes cavity walls, suspended ceilings, and under stairs and airing cupboards. It’s not just indoors, either, as mice are often found in sheds, garages and compost heaps. If you have a composter, check it for bite and gnaw marks. In these situations, it may be a field mouse, rather than a house mouse, which is causing the problem. Mice lack bladder control, and so one of the easiest ways to spot them is through a build-up of their urine or droppings. House mice urinate frequently, leaving behind a strong, ammonia-type smell. The stronger the odour, the closer you are to the nest. They also leave copious amounts of droppings – 50-80 a night, and all between 3-8mm in length. Check inside cupboard tops, along skirting boards and even in your cutlery drawer. There are other ways you can detect the presence of mice in your home. Dusty areas of lofts, attics and basements will often show up their footprints and tail marks, while their bodies often brush up against walls, floors and skirting, leaving grease marks. And if you can hear scratching under the floorboards, it could well be a house mouse. There are a few simple steps you can take which will reduce the risk of a mouse or rat problem in your home. Make sure all holes which accommodate pipework and electrical cables are well sealed to stop them squeezing through. Air bricks and vents should be kept in good condition and sealed with wire mesh. This will allow air to circulate but stop your rodent problem. All doors need to be properly fitted, so install bristle or brush strips if there are any gaps at ground level. And cut back any overgrown vegetation, particularly hanging branches, which are close to the house, as these offer mice potential nesting sites – and a route inside your property, usually via the roof or eaves. At Essex and Suffolk Pest Solutions we have had many years of experience in mice control, operating in Witham, Colchester, Chelmsford, Bury St Edmunds, Clacton and towns and villages across the region. We put down anti-coagulant baits in tamper-proof bait stations, and we make several visits to ensure your rodent problems have been fully eradicated. We always aim to use environmentally-friendly products, and all our work is carried out by friendly, experienced staff who are all trained to at least BPCA RSPH Level 2. They use unmarked vans to provide a discreet service. If you would like to know more about our mice control services, for businesses as well as domestic properties, follow this link.